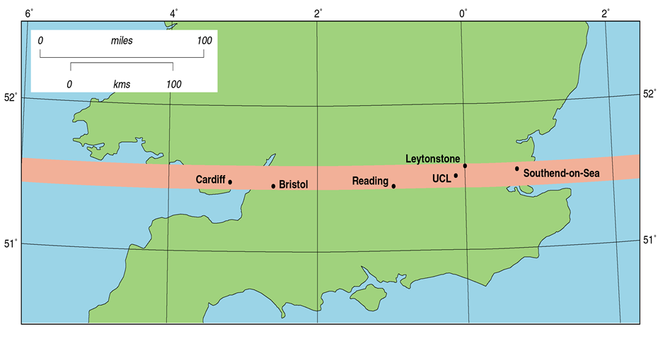 1981 – 1983: Department of Geography, University of Bristol. 1980 – 1981: Geographisches Institut II, Universität Karlsruhe (TH), Germany. 1977 – 1980: Department of Geography, University of Bristol. 1970 – 1977: Southend High School for Boys, Southend‑on‑Sea. 1984: Ph.D. (Urban Geography), University of Bristol. 1981: Certificate of Competence (German Language) to study at Karlsruhe/Stuttgart Universities; Grundstuffe II language examination (Grade 1). 1980: B.Sc. First Class Honours (Geography), University of Bristol. 1975 – 1977: 10 GCE ‘O’ Levels (7 Grade A, 3 Grade B); 3 GCE ‘A’ levels (all Grade A). I am the lead author of items for which I am first-named. The names of postgraduate student and research assistant/officer co-authors appear in italics. 1. 1994 Fractal Cities: a Geometry of Form and Function. 394(+xxii) pp. plus 16 pp. colour plates. London and San Diego, Academic Press (M Batty, P A Longley). This major book presents an approach to measuring and simulating the form and function of towns and cities, using ideas from fractal geometry, urban modelling and computer graphics. 2. 2001 Geographic Information Systems and Science. 454(+xviii) pp. Chichester, Wiley (P A Longley, M F Goodchild, D J Maguire, D W Rhind). This advanced textbook and professional guide book is probably the fastest selling title in the history of the subject, and sold over 25,000 copies in its first edition. 3. 2005 Geographic Information Systems and Science (second edition). 517(+xvii) pp. Chichester, Wiley (P A Longley, M F Goodchild, D J Maguire, D W Rhind). Translated into Chinese, Korean and Polish. 4. 2007 Geospatial analysis: a Comprehensive Guide to Principles, Techniques and Software Tools. 394(+xiii) pp. Leicester, Troubador (M J de Smith, M F Goodchild, P A Longley). This is a hard copy version of an important technical website, www.spatialanalysisonline.com, which is associated with the Spatial Literacy in Teaching (Splint) Centre of Excellence in Teaching and Learning at UCL. Translated into Chinese. 5. 2008 Geospatial analysis: a Comprehensive Guide to Principles, Techniques and Software Tools (second edition). 491(+xxi) pp. Leicester, Troubador (M J de Smith, M F Goodchild, P A Longley, with contributions by C Castle, A Crooks). See above for web link. 6. 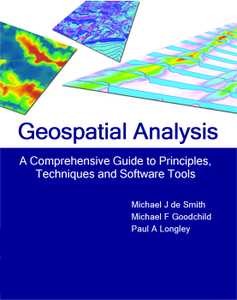 2009 Geospatial analysis: a Comprehensive Guide to Principles, Techniques and Software Tools (third edition). 560(+xxii) pp. Leicester, Troubador (M J de Smith, M F Goodchild, P A Longley, with contributions by C Castle, A Crooks). 7. 2011 Geographic Information Systems and Science (third edition). 539(+xix) pp. Hoboken, NJ, Wiley (P A Longley, M F Goodchild, D J Maguire, D W Rhind). Translated into Portuguese. 8. 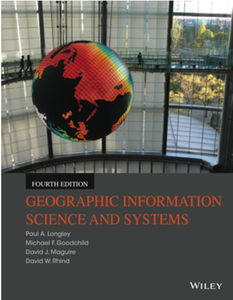 2015 Geographic Information Science and Systems (fourth edition). 477(+xvi) pp. Hoboken, NJ, Wiley (P A Longley, M F Goodchild, D J Maguire, D W Rhind). As of February 2017 the four English language editions of this book have sold c. 100,000 copies worldwide. 1. 1995 GIS for Business and Service Planning. 316 (+xvi) pp. plus 8 pp. colour plates. Cambridge, Pearson Professional (P Longley, G Clarke). 2. 1996 Spatial Analysis: Modelling in a GIS Environment. 392 (+viii) pp. Cambridge, Pearson Professional (P Longley, M Batty). 3. 1998 Geocomputation: a Primer. 278 (+xii) pp. Chichester, Wiley (P A Longley, S M Brooks, R McDonnell, W. Macmillan). 4. 1999 Geographical Information Systems: Principles, Techniques, Management and Applications (Second Edition). 1101 (+xciii) pp. New York, Wiley (P A Longley, M F Goodchild, D J Maguire, D W Rhind). (The editors were also responsible for writing the 13 linking sections in this major reference work.) This book was translated into Chinese in 2004. 5. 2001 Remote Sensing and Urban Analysis. 268 (+xxvi) pp. London, Taylor and Francis (J-P Donnay, M J Barnsley, P A Longley). 6. 2003 Advanced Spatial Analysis. 464 (+viii) pp. Redlands CA, ESRI Press (P A Longley, M Batty). 7. 2005 Geographical Information Systems: Principles, Techniques, Management and Applications (Abridged Edition). 358 (+xlv) pp. Hoboken, Wiley (P A Longley, M F Goodchild, D J Maguire, D W Rhind). 8. 2012 Environment and Planning Volume B: Planning and Design. 512 (+xxvi) pp. London, Sage (M Batty and P A Longley). 9. 2012 Environment and Planning Volume E: Foundations. 539 (+xv) pp. London, Sage (S Elden, N Thrift, T J Barnes, J Peck, M Batty, P A Longley, R J Bennett). 11. 2014 Spatial Analysis and Geocomputation, Section 7 of Handbook of Regional Science (M M Fischer, P Nijkamp, eds). Berlin, Springer (Section 7, pp1104-1273, Editor P A Longley). 1. 1990 – 2012: Co-editor (1/4) of Environment and Planning B with responsibility for reviews. 2. 1995 – 1998: Technical Editor and Editorial Board member, GIS Europe. 3. 1997 – 2007: Editor-in-Chief (1/1), Computers, Environment and Urban Systems. 4. 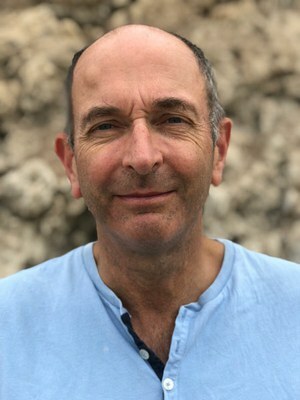 1998 – present: Editorial Board member, Journal of Geographical Systems. 5. 1999 – 2013: Editorial Board member, Papers in Regional Science. 6. 1999 – 2001: Editorial Board member, GeoEurope. 7. 2000 – 2003: Editorial Board member, Networks and Spatial Economics. 8. 2000 – 2010: Editorial Board member, URISA Journal. 9. 2003 – 2010: Series Editor, Mastering GIS: Technology, Applications and Management book series, John Wiley & Sons Limited. 1. 1983: Nominale und Ordinale Datenanalyse: ein Experiment über die Innerstädtische Bevorzugung von Wohnstandorten. Karlsruher Manuskripte zur Mathematischen und Theoretischen Wirtschafts-und Socialgeographie. Heft 63. Universität Karlsruhe 30pp. (written in German by the author). 2. 1984: Scaling residential preferences: a methodological note. Tijdschrift voor Economische en Sociale Geografie 75: 292‑9 (P Longley, N Wrigley). 3. 1984: Comparing discrete choice models: some housing market examples. In D Pitfield (ed) London Papers in Regional Science Vol. 14 Chapter 6 163‑180: London, Pion. 4. 1984: Diagnostic testing of housing choice models. Modeling and Simulation 15: 215‑9 (P Longley, N Wrigley, R Dunn). 5. 1986: The fractal simulation of urban structure. Environment and Planning A 18: 1143‑79 (M Batty, P Longley). 6. 1987: Graphical procedures for identifying functional form in binary discrete choice models ‑ a case study of revealed tenure choice. Regional Science and Urban Economics 17: 151‑71 (R Dunn, P Longley, N Wrigley). 7. 1987: Fractal‑based description of urban form. Environment and Planning B 14: 123‑34 (M Batty, P Longley). 8. 1987: Using fractal geometry to measure maps and simulate cities. Computer Education 56: 15‑19 (P Longley, M Batty). 10. 1988: Graphical assessment of housing market models. Urban Studies 25: 21‑33 (P Longley, R Dunn). 11. 1988: The morphology of urban land use. Environment and Planning B 15: 461‑88 (M Batty, P Longley). 12. 1988: Research and teaching functions in undergraduate projectwork. The Journal of Geography in Higher Education 12: 187‑94 (L Moore, P Longley). 14. 1989: Fractal measurement and line generalisa­tion. Computers and Geosciences 15: 167-83 (P Longley, M Batty). 15. 1989: On the fractal measurement of geographical boundaries. Geographical Analysis 21: 47-67 (P Longley, M Batty). 16. 1989: Urban growth and form: scaling fractal geometry and diffusion‑limited aggregation. Environment and Planning A 21: 1447-72 (M Batty, P Longley, S Fotheringham). 17. 1989: Microanalysis and simulation of housing careers: subsidy and accumulation in the UK housing market. Papers of the Regional Science Association 66: 105-22 (M Clarke, P Longley, H Williams). 18. 1989: Diffusion-limited aggregation and the fractal nature of urban growth. Papers of the Regional Science Association 67: 55-69 (S Fotheringham, M Batty, P Longley). 19. 1991: Housing careers asset accumulation and subsidies to owner occupiers: a microsimulation. Housing Studies 6: 57-69 (P Longley, M Clarke, H Williams). 20. 1991: The size shape and dimension of urban settlements. Transactions, Institute of British Geographers NS 16: 75-94 (P Longley, M Batty, J Shepherd). Reproduced as part of special ‘virtual issue’ on Geographical Information Science in 2012 (http://onlinelibrary.wiley.com/journal/10.1111/(ISSN)1475-5661/homepage/tibg_virtual_issues.htm#gis). 24. 1993: The geographical implications of changing local taxation regimes. Transactions, Institute of British Geographers NS 18: 86-101 (P Longley, D Martin, G Higgs). 25. 1993: A GIS-based appraisal of council tax valuations. The Journal of Property Valuation and Investment 11: 375-83 (P Longley, G Higgs, D Martin). 26. 1994: The predictive use of GIS to model property valuations. International Journal of Geographical Information Systems 8: 217-35 (P Longley, G Higgs, D Martin). 27. 1994: The use of GIS in the analysis of diverse urban databases. Computers, Environment and Urban Systems 18: 55-66 (D Martin, P Longley, G Higgs). 77. 2012: Identifying spatial concentrations of surnames. International Journal of Geographic Information Science 26: 309-25 (J A Cheshire, P A Longley). 78. 2012: Patterns of patient registration with primary healthcare in the UK National Health Service. Annals of the Association of American Geographers, 102: 1135-45 (D J Lewis, P A Longley). 80. 2012: Geodemographics and the practices of geographic information science. International Journal of Geographic Information Science 26: 2227-37. 86. 2014: A geocomputational analysis of Twitter activity around different world cities. Geo-spatial Information Science 17(3) 145-52 (M Adnan, A Leak, P A Longley). 87. 2015: The geotemporal demographics of Twitter usage. Environment and Planning A 45:465-484 (+iv supplementary material) (P A Longley, M Adnan, G Lansley). 88. 2015: The internal structure of Greater London: a comparison of national and regional geodemographic models. Geo: Geography and Environment 2(1): 69–87 (A D Singleton and P Longley). 89. 2016: Geo-temporal Twitter demographics. International Journal of Geographical Information Science 30(2): 369-89 (P A Longley, M Adnan). 1. 1984: Discrete choice modelling in urban analysis. In D T Herbert, R J Johnston (eds) Geography and the Urban Environment: Progress in Research and Applications. Vol. 6. Chichester, Wiley: 45‑94 (N Wrigley, P Longley). 2. 1984: Discrete choice modelling and complex spatial choice: an overview. In G Bahrenberg, M M Fischer, P Nijkamp (eds) Recent Developments in Spatial Data Analysis: Methodology, Measurement, Models. Aldershot, Gower: 375‑91. 3. 1988: Some recent developments in the specification estimation and testing of discrete choice models. In RG Golledge, H Timmermans (eds) Behavioural Modelling in Geography and Planning. London, Croom Helm: 96-123 (N Wrigley, P Longley, R Dunn). 4. 1989: Measuring and simulating the structure and form of cartographic lines. In J Hauer, H Timmermans, N Wrigley (eds) Urban Dynamics and Spatial Choice Behaviour. Dordrecht, Kluwer: 269-92 (P Longley, M Batty). 5. 1991: The geometry of urban form and the fractal nature of urban growth. In D Pumain (ed) Spatial Analysis and Population Dynamics. Montrouge, John Libbey: 175-86 (P Longley, S Fotheringham, M Batty). 6. 1992: A street-based geographical information system for local government revenue monitoring. In J Cadoux-Hudson, D I Heywood (eds) Geographic Information 1992/3: The Yearbook of the Association for Geographic Information. London, Taylor and Francis and the AGI: 491-500 (G Higgs, D Martin, P Longley). 7. 1993: The council tax for Great Britain: a GIS-based sensitivity analysis of capital valuations. In S Fotheringham, P Rogerson (eds) Spatial Analysis and GIS. New York, Taylor and Francis: 261-76 (P Longley, G Higgs, D Martin). 8. 1993: Fractal geometry and urban morphology. In NS Lam, L DeCola (eds) Fractals in Geography. New Jersey, Prentice-Hall: 228-46 (M Batty, S Fotheringham, P Longley). 9. 1993: Speculations on fractal geometry in spatial dynamics. In P Nijkamp, A Reggiani (eds) Nonlinear Evolution of Spatial Economic Systems. Berlin, Springer: 203-22 (P Longley, M Batty). 10. 1994: GIS and monitoring local taxation: progress and prospects. In D Bond, G Robinson (eds) The Regional Research Laboratories Network 1994. University of Ulster: 22-7 (P Longley, G Higgs, D Martin). 11. 1995: Applied geographical information systems: developments and prospects. In P Longley, G Clarke (eds) GIS for Business and Service Planning. Cambridge, Pearson Professional: 3-9 (P Longley, G Clarke). 12. 1995: Data sources and their geographical integration. In P Longley, G Clarke (eds) GIS for Business and Service Planning. Cambridge, Pearson Professional: 15-32 (D Martin, P Longley). 13. 1995: Spreading the word: location and space in business administration. In P Longley, G Clarke (eds) GIS for Business and Service Planning. Cambridge, Pearson Professional: 271-83 (G Clarke, P Longley, I Masser). 14. 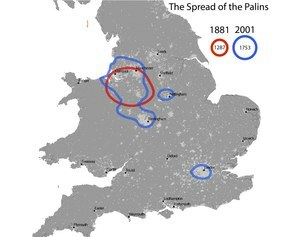 1995: Fractal measurement of a classified image: the case of Bristol England. In M M Fischer, S T Tamás, B László (eds) Recent Developments in Spatial Information Modelling and Processing. Budapest, Geomarket Co.: 107-22 (T V Mesev, P A Longley, M Batty, Y Xie). 15. 1996: Analysis, modelling, forecasting and GIS technology. In P Longley, M Batty (eds) Spatial Analysis: Modelling in a GIS Environment Cambridge, Pearson Professional: 1-15 (P Longley, M Batty). 16. 1996: RS-GIS: spatial distributions from remote imagery. In P Longley, M Batty (eds) Spatial Analysis: Modelling in a GIS Environment. Cambridge, Pearson Professional: 123-48 (V Mesev, P Longley, M Batty). 17. 1996: Analytical GIS: the future. In P Longley, M Batty (eds) Spatial Analysis: Modelling in a GIS Environment. Cambridge, Pearson Professional: 345-52 (M Batty, P Longley). 18. 1996: Fractal models of urban structure. In E Besussi, A Cecchini (eds) Artificial Worlds and Urban Studies. Venice, DAEST: 207-16 (P Longley, M Batty). 19. 1998: Remote sensing and regional density gradients. In S Carver (ed.) Innovations in GIS 5: Integrated Information. London, Taylor and Francis: 226-37 (V Mesev, P Longley). 20. 1998: Foundations. In P A Longley, S M Brooks, W Macmillan, R McDonnell (eds) Geocomputation: a Primer. Chichester, Wiley: 3-15. 21. 1999: Introduction. In P A Longley M F Goodchild D J Maguire D W Rhind (eds) Geographical Information Systems: Principles, Techniques, Management and Applications. New York, Wiley: 1-20 (P A Longley, M F Goodchild, D J Maguire, D W Rhind: plus co-authored introductions to the Parts of the book pp. 23-7; 175-6; 235-7; 307-8; 371-2; 425-6; 477-9; 583-6; 587-8; 653; 707-8; 745-6; 791-5; 797-9; and 909-911). 22. 1999: The future of GIS and spatial analysis. In P A Longley, M F Goodchild, D J Maguire, D W Rhind (eds) Geographical Information Systems: Principles, Techniques, Management and Applications New York, Wiley: 567-580 (M F Goodchild, P A Longley). 23. 1999: Epilogue: seeking out the future. In P A Longley, M F Goodchild, D J Maguire, D W Rhind (eds) Geographical Information Systems: Principles, Techniques, Management and Applications. New York, Wiley: 1009-1021 (P A Longley, M F Goodchild, D J Maguire, D W Rhind). 24. 1999: The role of classified imagery in urban spatial analysis. In P Atkinson, N Tate (eds) Advances in Remote Sensing and GIS Analysis. Chichester, Wiley: 185-206 (V Mesev, P A Longley). 25. 1999: Computer simulation and modelling of urban structure and development. In M Pacione (ed.) Applied Geography: Principles and Practice. London, Routledge: 605-19. 27. 2000: Geocomputation. Entry in R J Johnston, D Gregory, G Pratt, M Watts (eds) Dictionary of Human Geography (Fourth Edition). Oxford, Blackwell: 296-7. 28. 2000: Fractal analysis of digital spatial data. Chapter 12 in S Openshaw, R Abrahart (eds) GeoComputation. London, Taylor and Francis: 293-312. 29. 2001: Remote sensing and urban analysis. Chapter 1 in J-P Donnay, M Barnsley, P A Longley (eds) Remote Sensing and Urban Analysis. London, Taylor and Francis: 3-18 (J-P Donnay, M Barnsley, P A Longley). 30. 2001: Modified maximum-likelihood classification algorithms and their application to urban remote sensing. Chapter 5 in J-P Donnay, M Barnsley, P A Longley (eds) Remote Sensing and Urban Analysis. London, Taylor and Francis: 71-94 (V Mesev, B Gorte, P A Longley). 31. 2001: Measuring urban morphology using remotely-sensed imagery. Chapter 9 in J-P Donnay, M Barnsley, P A Longley (eds) Remote Sensing and Urban Analysis. London, Taylor and Francis: 163-83 (P A Longley, V Mesev). 32. 2001: Remote sensing and urban analysis: a research agenda. Chapter 13 in J-P Donnay, M Barnsley, P A Longley (eds) Remote Sensing and Urban Analysis. London, Taylor and Francis: 245-58 (P A Longley, M Barnsley, J-P Donnay). 33. 2001: Measuring the 'urban': measuring and modelling in a regional settlement hierarchy. In Tate N J, Atkinson P M (eds) Modelling Scale in Geographical Information Science. Chichester, Wiley, 53-67 (V Mesev, P A Longley). 34. 2001: Data-rich models of the urban environment: RS, GIS and 'lifestyles'. In P Halls (ed) Innovations in GIS 8: Spatial Information and the Environment. London, Taylor and Francis: 53-76 (R J Harris, P A Longley). 35. 2001: Geographic information systems. In M K Tolba (ed: T. Munn, editor in chief) Encyclopedia of Global Environmental Change: Volume 4, Responding to Global Environmental Change. Chichester, Wiley: 222-6. 36. 2003: Geographic information systems. In J Feather and P Sturges (eds) International Encyclopedia of Information and Library Science (2nd Edition). London, Routledge: 207-9. 37. 2003: Advanced spatial analysis: extending GIS. In P A Longley and M Batty (eds) Advanced Spatial Analysis. Redlands CA, ESRI Press: 1-17 (P A Longley, M Batty). 38. 2003: Strategies for integrated retail management using GIS. In P A Longley and M Batty (eds) Advanced Spatial Analysis. Redlands CA, ESRI Press: 211-31 (P A Longley, C Boulton, I Greatbatch, M Batty). 39. 2003: Geodemographic analysis of similarity and proximity: their roles in the understanding of the geography of need. In P A Longley and M Batty (eds) Advanced Spatial Analysis. Redlands CA, ESRI Press: 233-66 (R Webber, P A Longley). 40. 2003: Researching the future of GIScience. In P A Longley and M Batty (eds) Advanced Spatial Analysis. Redlands CA, ESRI Press: 427-35 (M Batty, P A Longley). 41. 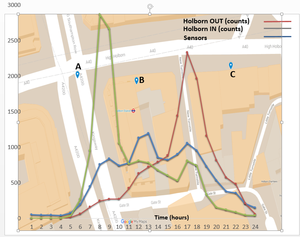 2004: The impact and penetration of location-based services. In H Karimi and A Hammad (eds) Telegeoinformatics: Location-Based Computing and Services. Boca Raton, CRC Press: 349-66 (N Shiode, C Li, M Batty, P A Longley, D J Maguire). 42. 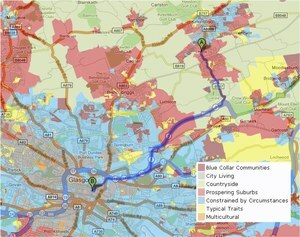 2004: Targeting clusters of deprivation within cities. 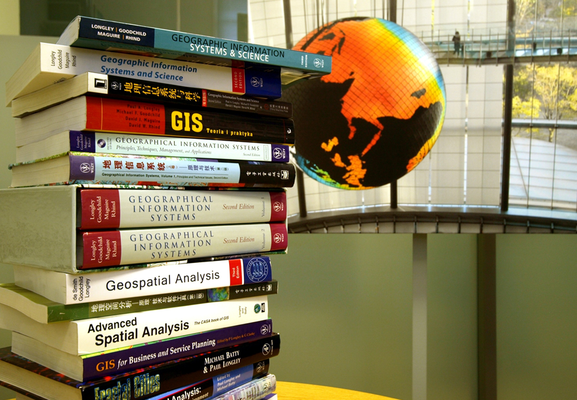 In G Clarke and J Stillwell (eds) Applied GIS and Spatial Analysis. Chichester, John Wiley: 89-110 (R Harris, P A Longley). 43. 2004: Geographical information systems. In A Kuper and J Kuper (eds) The Social Science Encyclopedia (third edition). London, Routledge: 416-7. 44. 2004: The potential of remote sensing and geographical information systems. In J A Matthews and D T Herbert (eds) Common Heritage, Shared Future: Perspectives on the Unity of Geography. London, Routledge: 62-80 (P A Longley, M J Barnsley). 45. 2005: Urban studies. In K Kempf-Leonard (ed) Encyclopaedia of Social Measurement. Elsevier, San Diego: 921-6. 46. 2005: GeoDynamics: an introduction. In P Atkinson, G Foody, S Darby, F Wu (eds) GeoDynamics. Boca Raton, CRC Press: 21-24. 47. 2005: New developments in geographical information systems: principles, techniques, management and applications. In P A Longley, M F Goodchild, D J Maguire, D W Rhind (eds) Geographical Information Systems: Principles, Techniques, Management and Applications (Abridged Edition). New York, Wiley: (ix)-(xxxii) (P A Longley, M F Goodchild, D J Maguire, D W Rhind). 48. 2005: A GIS-based spatial decision support system for emergency services: London’s King’s Cross St. Pancras Underground Station. In van Oosterom P, Zlatanova S, Fendel E M (eds) Geo-Information for Disaster Management. Berlin, Springer: 867-81 (C J E Castle, P A Longley). 49. 2006: Fractal. Geographic information systems. 2 entries in B Warf, D Dydia, L Knopp, D Sui, D Wilson, A J Cravey (eds) Encyclopedia of Human Geography. Thousand Oaks, CA., Sage: 171-2; 189-93. 50. 2007: A new framework for feature-based digital mapping in three-dimensional space. In Lovett A, Appleton K (eds) Innovations in GIS 12. Boca Raton, FL, CRC Press: 29-57 (A D Slingsby, P A Longley, C Parker). 51. 2008: Fractals. In Kemp K K (ed.) International Encyclopedia of Geographic Information Science, Los Angeles, Sage: 147-9. 52. 2008: Geographic information systems (GIS). In Kemp K K (ed.) International Encyclopedia of Geographic Information Science, Los Angeles, Sage: 190-4. 58. 2010: ‘Spatial analysis’ and ‘Michael Batty’. In Warf B. (ed.) Encyclopaedia of Geography. Thousand Oaks, CA, Sage. Vol. 5: 2603-7 and Vol. 1: 187 respectively. 59. 2010: The structure and form of urban settlements. In T Rashed, C Jürgens (eds) Remote sensing of urban and suburban areas (Remote Sensing and Digital Image Processing 10). Berlin, Springer (E Besussi, N Chin, M Batty, P A Longley): 13-31. 63. 2014: Modelling spatial morphologies: fractal patterns from cellular automata. Chapter 2 in Abrahart R J, See L M (eds) GeoComputation (Second Edition). Baton Rouge, FL, CRC Press (M Batty, P A Longley): 23-48. 64. 2014: Parallel computing in Geography. Chapter 3 in Abrahart R J and See L (eds) GeoComputation (Second Edition), Boca Raton, FL: CRC Press (M Adnan, P A Longley, A D Singleton, I Turton: 49-67. 65. 2015: Epilogue. In M Helbich, J J Arsanjani, and M Leitner (eds) Computational Approaches for Urban Environments. Heidelberg, Springer: 389-92. 66. 2015: The Modifiable Areal Unit Problem. In Richardson D et al (eds) The International Encyclopedia of Geography: People, the Earth, Environment, and Technology. Hoboken NJ: Wiley. In press. 69. 2017: Creating a new open geodemographic classification of the UK using 2011 Census data. Chapter 17 in Stillwell, J. (Eds. ), The Routledge Handbook of Census Resources, Methods and Applications. London, Routledge: 213-29 (C Gale, A D Singleton, P A Longley). 70. 2017: Opportunities for retail data and their geographic integration in social science. Chapter 2 in Schintlet L and Chen Z (eds) Big Data for Regional Science. Berlin, Springer, in press (G Lansley, P A Longley). 71. 2018: Geographical information Systems. Ch. 17 in A Kent and P Vujakovic (eds) The Routledge Handbook of Mapping and Geography. London: Routledge (P A Longley and J A Cheshire). A detailed and extensive list of editorials and commentaries in academic journals, professional journal papers, papers in conference proceedings, technical reports, working papers, official reports and reviews of academic books is available upon request. My research interests are grouped around the development and application of geographic information science and geographic information systems, latterly using Big Data analytics. Socioeconomic applications focus upon the re-use of consumer data and include: geo-temporal demographics; retail analysis; public service delivery (specifically health, education and policing); Internet GIS applications and e-social science; housing and retail market analysis; fractal analysis of cities; and social survey research practice. Contributions to the research literature have been funded by numerous research grants, including knowledge transfer/exchange funding. the diffusion and use of new information and communications technologies. More generally, I am interested in the practice of social science using quantitative data, and in social survey research practice. 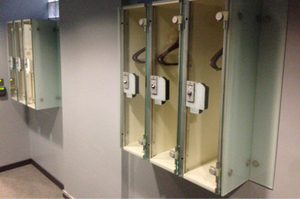 I direct the Consumer Data Research Centre at UCL. My research has been funded by research council grants, Ph.D. research studentships and knowledge transfer/exchange partnerships. It has been my privilege to supervise a very large number of Ph.D. students, many of whom are now established elsewhere in academia, or at senior levels in industry or government. I have been involved in funded grants totalling c. £17.5 million. The awards itemised below are in addition to research council and external funding for postgraduate students detailed below (18 ESRC, 3 SERC/EPSRC, 1 NERC, plus other industry and research grant sponsors). I also led a UCL bid in 2013 for a multidisciplinary cohort of 5 EPSRC/ESRC studentships. Working with Pablo Mateos, Muhammad Adnan and various other colleagues, research has developed a classification of family names (www.onomap.org) that was initially applied, in partnership with Camden and Southwark Primary Care Trusts (PCTs) in London, to analyse the ethnic backgrounds of those seeking screening and care and to target interventions accordingly. Much of this work has been funded by the Economic and Social Research Council Knowledge Exchange Group. In 2011 Southwark PCT hosted a pilot project seeking to increase extremely low rates of breast cancer screening amongst women of African Caribbean descent. The names classification was used to identify the ethnic groups of women who missed screening, and then targeted resources and information accordingly, leading to an increase in the uptake of screening among African Caribbean women. PCT staff also worked with us using surname data to challenge a common perception that A&E use differs by ethnicity. 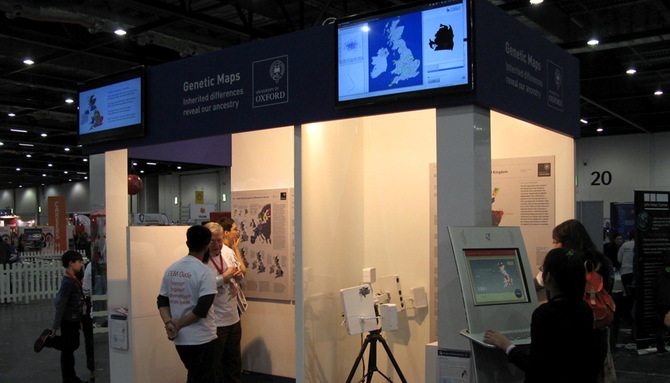 the Health Protection Agency, England (now Public Health England), used the software for ethnic classification in sentinel surveillance of hepatitis and other blood-borne viruses. NHS Lothian, Scotland, used it to code patient records by ethnic group and determine differential disease prevalence, as well as the level of uptake and accessibility to public health prevention services such as smoking cessation or cancer screening. NHS Lothian officials also used it to assess need and usage of interpretation services in GP surgeries by Polish speakers. The names classification has been licenced to CACI Ltd for the Acorn classification, one of the most widely used general purpose geodemographic classifications in the UK today. CACI uses the software to provide a more differentiated source of ethnicity information than Census sources alone and released the latest Acorn classification using this new approach in March 2013. 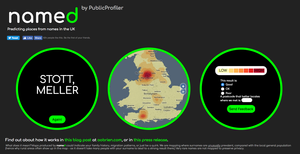 The Public Profiler website (gbnames.publicprofiler.org) was originally developed in 2006, out of the initial investigation into the geographic patterning of names in Great Britain. This had 1.6 million unique users in its first year alone, and was licensed by the National Trust as part of its centenary celebrations. An international surname mapping site (worldnames.publicprofiler.org) was created in 2007 using ESRC ‘Impact’ Grant funding, and analysed names from 25 other countries. This site was visited by more than 3.6 million unique users between 2008 and 2013. A Twitter names map of London (twitternames.publicprofiler.org) developed by colleague Muhammad Adnan was launched in December 2012 as part of the EPSRC Uncertainty of Identity project and building on names classification data. 1. 2006: ‘Mr Smith? From Lerwick, I presume’, The Observer, 15 January. 2. 2006: ‘New database puts names on the map’, Sunday Herald, 15 January. 16. 2007: ‘What’s in your name?’, The Observer, 15 April, p3. 18. 2009: ‘Tracing family histories goes global’. Britain in 2009 (the ESRC outreach magazine), p111. 19. 2011: ‘What’s in a surname? A new view of the United States based on the distribution of common last names.’ National Geographic, February, p20-21and online at ngm.nationalgeographic.com/2011/02/geography/usa-surnames-interactive. The At-Bristol science discovery centre used the research to develop an interactive exhibit for the Inside DNA exhibition (2007-08). 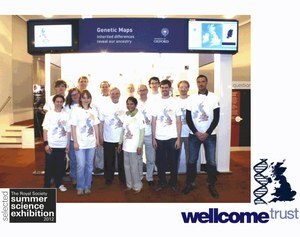 Inside DNA subsequently travelled to the National Museums Liverpool, MOSI Manchester and Thinktank Birmingham. Another interactive exhibit developed with the London Science Museum as part of the 'Who Am I?' interactive exhibition (2010–15). The Glasgow Science Centre's £1.9-million BodyWorks exhibition has included the Family Names interactive exhibit, based on Public Profiler, in its exhibit. 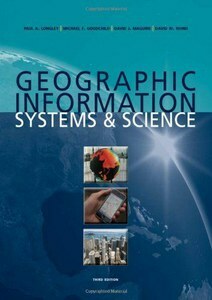 The student companion site to the Fourth Edition of Geographic Information Science and Systems is at http://bcs.wiley.com/he-bcs/Books?action=index&itemId=1118676955&bcsId=9274. The instructor site is at http://bcs.wiley.com/he-bcs/Books?action=index&itemId=1118676955&bcsId=9273. Left to right: Dan Lewis (now London School of Hygiene and Tropical Medicine; Muhammad Adnan (now Marks and Spencer Plc); James Cheshire (now UCL); Andrew Crooks (now George Mason University); Alex Singleton (now University of Liverpool); Pablo Mateos (now University of Guadalajara); and Paul Longley. Under the UK system, a Ph.D. student typically has just two supervisors. This section includes details of career destinations of the Ph.D. students that I have supervised, and some of their selected contributions to academia and professional practice. To date, only four students (including two second supervisions) have not delivered acceptable theses within the normal registration periods. 1. 1987-89 Simon Thompson. SERC award, principal advisor. M.Sc awarded 1990. Subsequently senior manager with GENAMAP GIS and most recently Commercial Business Industry Solutions Manager, ESRI Inc., Redlands, CA. 2. 1990-93 Myles Gould. SERC award, principal advisor. Ph.D awarded 1996. Currently Senior Lecturer in Geography, University of Leeds. 3. 1991-94 Victor Mesev. SERC award, principal advisor. Ph.D awarded 1995. Subsequently ESRC Postdoctoral Research Fellow at Bristol University of Bristol. Currently Chair, University of Florida, Tallahassee. 4. 1993-6 Scott Orford. ESRC award, principal advisor. Ph.D awarded 1997. Subsequently Computer Officer, School of Geographical Sciences, University of Bristol, and currently Reader in Spatial Analysis and GIS, Cardiff University. 5. 1996-9 Richard Harris. ESRC award, principal advisor. Ph.D. awarded 1999. Subsequently Research Assistant, University of Bristol. Currently Professor of Quantitative and Social Geography, University of Bristol. 6. 1998-9 Emma Roe. ESRC award, principal advisor until 1999 and remained in Bristol after my move to UCL. Ph.D awarded 2002. Currently Lecturer in Human Geography, University of Southampton. 7. 1998-2001 William Grey. NERC award, external advisor. Ph.D. awarded 2002. Subsequently Research Fellow, Department of Geography, Swansea University. 8. 2000-3 Carolina Tobon. UCL Teaching Assistantship, principal advisor. Ph.D. awarded 2003. Subsequently GIS analyst for ESRI (UK) Ltd. and software developer. 9. 2000-3 Paul Torrens. ESRC competition award, second advisor. Ph.D. awarded 2003. Subsequently Assistant Professor, University of Utah then Associate Professor in Geography, Arizona State University, then Professor, University of Maryland. Currently Professor of Urban Informatics, New York University. 10. 2001-3 Mike de Smith. Self-funded, principal advisor. Ph.D. awarded 2004. Subsequently self-employed consultant. 11. 2001-4 Daryl Lloyd. ESRC CASE award, second advisor. Ph.D. awarded 2005. Subsequently senior research analyst at ODPM and the Cabinet Office. 12. 2001-3 Ian Greatbatch. Research grant funded, principal advisor for part of study period only. M.Sc. awarded 2007. Currently Senior lecturer, School of Geography, Geology and the Environment, Kingston University. 13. 2001-4 (Lily) Chao Li. ESRC competition award, principal advisor. Ph.D. awarded 2005. Subsequently ESRC Postdoctoral Research Fellow, UCL. 14. 2001-4 Torsten Schietzelt. ESRC CASE award, second advisor. No thesis submitted. Subsequently ad hoc lecturer, the Bartlett School, UCL. 15. 2001-4 Sarah Smith. Ordnance Survey funded, principal advisor. Ph.D. awarded 2005. Subsequently research analyst, Ordnance Survey (Great Britain) and then Research Fellow in Civil Engineering and Geosciences, University of Newcastle-upon-Tyne. 16. 2001-6 Nancy Chin. Research grant funded (part time), second advisor. Ph.D. awarded 2006. Subsequently senior civil servant. 17. 2001-5 Sinesio Alves Jnr. Brazilian Government Scholarship, second advisor. No thesis submitted. Subsequently, inter alia, Computer Officer at UCL. 18. 2002-5 Tessa Anderson. ESRC CASE award, principal advisor. Ph.D. awarded 2006. Subsequently Lecturer in Geography, University of Canterbury, New Zealand, then University of Queensland, Hong Kong University and Technical University of Denmark. 19. 2002-5 David Ashby. ESRC CASE award, principal advisor. Ph.D. awarded 2006. Subsequently Business Development Manager, UCL Business Plc. Then Director of Informatics, Dr. Foster (Research) Ltd. Currently Team Leader, NHS England. 21. 2002-5 John Ward. ESRC CASE award, second advisor. Ph.D. awarded 2007. Subsequently Research Officer and Senior Research Fellow, the Bartlett School, UCL. 22. 2002-4 Ozlem Sahbaz. Research grant funded (part time) second advisor until inter-departmental transfer in 2004. No award to date. 23. 2002-5 Joana Simoes. Portuguese Government scholarship, second advisor. Ph.D. awarded 2006. Subsequently software developer, Brunel University. 24. 2002-7 Alex Singleton. Research grant funded (full/part time), principal advisor. Ph.D. awarded 2007. Subsequently Research Officer, UCL and currently Professor of Geographic Information Science, Liverpool University. 25. 2003-6 Andrew Crooks. ESRC CASE award, second advisor. Ph.D. awarded 2007. Subsequently Research Scientist, Greater London Authority and then Assistant and then Associate Professor in Geography, George Mason University. 26. 2003-7 Christian Castle. Research grant funded/ESRC CASE award, principal advisor. Ph.D. awarded 2007. Subsequently transport planning consultant. 27. 2004-7 Hanif Rahemtulla. ESRC competition award, principal advisor. Ph.D. awarded 2008. Subsequently Research Officer, Université Laval. Currently Seonior Research Officer, the World Bank. 28. 2004-7 Pablo Mateos. Research grant funded (full time), principal advisor. Ph.D.awarded 2007. Subsequently ESRC Postdoctoral Research Fellow and then Lecturer in Geography, UCL. Currently Associate Professor, University of Guadalajara. 29. 2004-8 Kate Jones. Research grant funded (full time), principal advisor. Ph.D. awarded 2008. Subsequently Research Associate, UCL, then Lecturer in Geography, Portsmouth University. 30. 2005-14 Miles Davis. ESRC funded, second advisor. Non-completion. 31. 2005-8 Jakob Petersen. Research grant funded, principal advisor. Ph.D. awarded 2008. Subsequently pharmaco-epidemiologist, National Health Service. Currently Research Data Manager, Institute for Economic and Social Research, University of Essex. 32. 2005-9 Catherine Lowe. ESRC competition award, principal advisor. Ph.D. awarded 2010. Subsequently analyst, Aon Benfield Analytics. 33. 2006-8 Dr. Maurizio Gibin. Research grant funded, principal advisor. (Refocused on research papers 2008, following appointment as Lecturer in Geography, University of London, Birkbeck College). Currently Scientific Officer, Joint Research Centre, European Commission Science Service. 34. 2007-14 Amon Boontore. Royal Thai Government Scholarship funded, second advisor. Ph.D. awarded 2014. Subsequently Lecturer, King Mongkut's Institute of Technology Ladkrabang, Thailand. 35. 2007-14 Spencer Chainey. Academic staff part time registration, second advisor. Ph.D. awarded 2014. 36. 2008-11 Muhammad Adnan. Research grant funded, principal advisor. Ph.D awarded 2011. Subsequently Research Analyst, LFG Ltd., and part time postdoctoral researcher, UCL, then Postdoctoral Research Fellow, UCL. Currently Senior Retail Analyst, Marks and Spencer Plc. 39. 2008-12 Paul Richards. ESRC CASE award, principal advisor. Ph.D. awarded 2013. Subsequently Lecturer in GIS, Kingston University. Currently Statistical Analyst, UK Office for National Statistics. 40. 2009-10 Nahid Mohajeri. Self funded, principal advisor. Transferred to new advisor to pursue refocused research interests. Ph.D. awarded 2013. 41. 2010-14 Christopher Gale. UCL Impact Award, principal advisor. Ph.D. awarded 2014. Subsequently Postdoctoral Researcher, UCL. Currently Senior Research Assistant, Southampton University. 42. 2011-14 Kallum Dhillon. ESRC DTC Award, second advisor. Ph.D. awarded 2015. Subsequently research analyst, Ministry of Defence. 44. 2012-15 Jens Kandt. ESRC DTC Award, principal advisor. Ph.D. awarded 2015. Subsequently postdoctoral researcher, UCL. 48. 2013-4 Adrian Manning. Self funded, part-time, principal advisor. Withdrew for family reasons. 50. 2014-15 Syed Uddin, ESRC funded, principal advisor. M.Res. awarded 2015. 51. 2015-16 Chrysanthi Kollia, ESRC funded, principal advisor. M.Res awarded 2016.